We’ve made it to the very last summer outfit of 2017. The. Very. Last. One. It’s a popular line on blogs these days, but seriously, how did summer go by so fast!? It feels as if time passes by faster and faster as I get older. I still have so many items on my summer to-do list, but the pop-up bars are closing and the days are getting noticeably shorter making it harder to do fun things after work. Not that I want to complain too much, because fall is by far my favorite of all seasons. The colors, the clothes, the coffees. 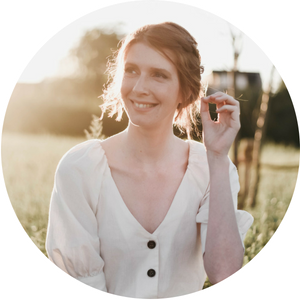 I’ve already stocked up opaque tights and am SO ready to start layering on my blazers and cardigans again. 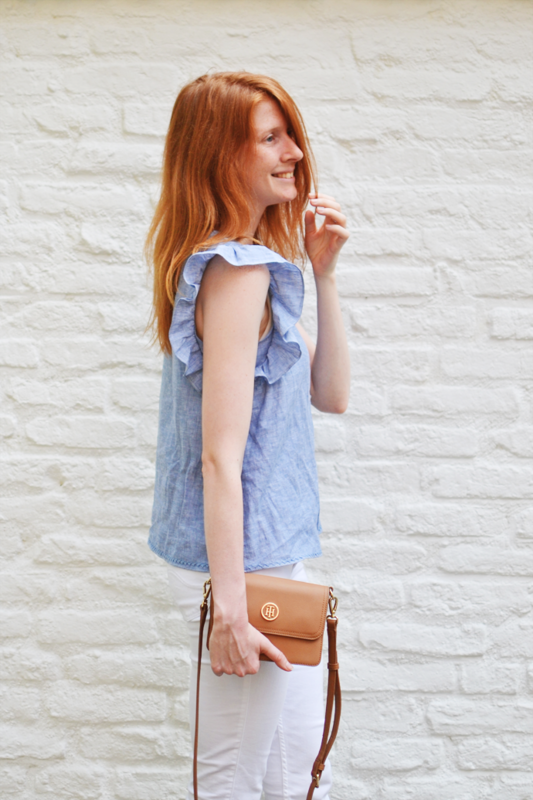 But for now, one more summer-y outfit! Special sleeves have been a HUGE trend this summer and I must admit that I arrived late to the party. 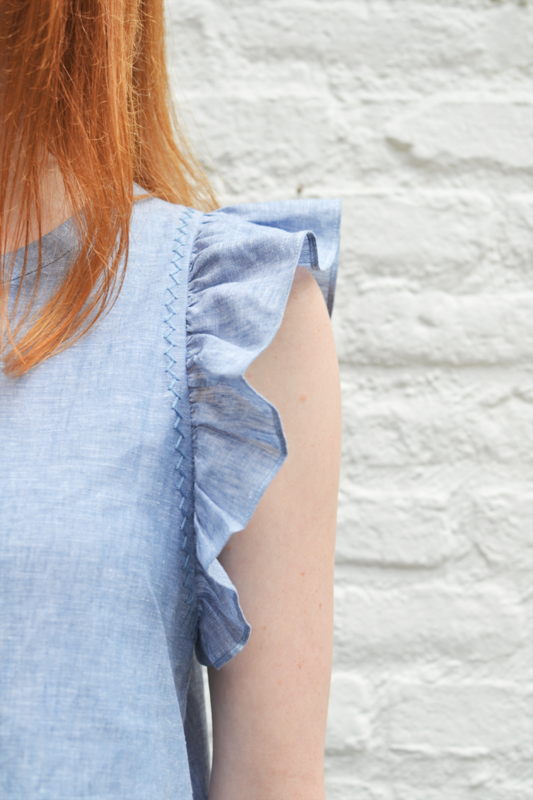 But when I found this linen top at & Other Stories I had to have it. I seem to be having those “I can’t live without it” moments a lot lately … . The frill detail is a little bit over the top, but I just love it! I shared it on my InstaStories a few times and you guys seem to love my new top just as much. I bought it specifically to wear with my white jeans. It doesn’t look good with anything else that I have in my wardrobe, but it really doesn’t feel like a waste of money. This outfit was my go-to this summer for those days where I felt like I had nothing to wear. Worked like a charm. I’ve heard people say that white jeans are difficult to style. I never really gave it too much thought, but apparently white jeans can easily come across as cheap. And now I’m feeling a little nervous because maybe I’ve been wearing white jeans the wrong way my whole adult life, haha. You guys can be completely honest with me in the comment section! 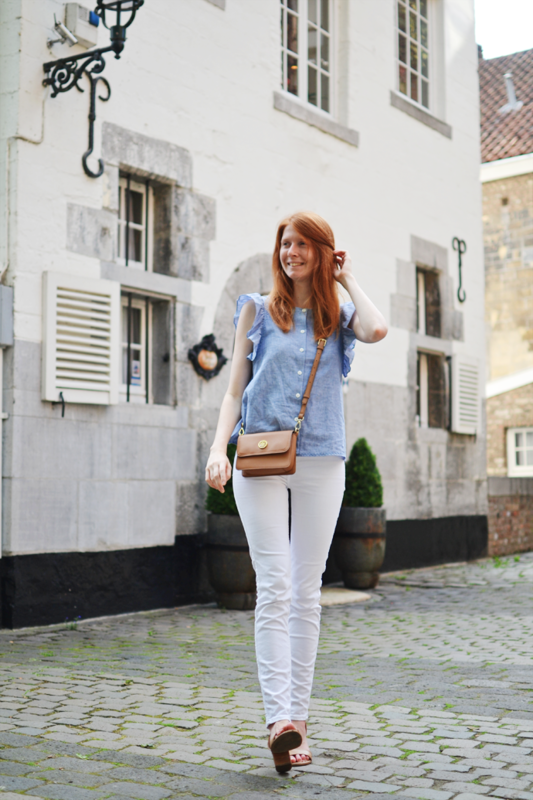 One of my friends recently told me that she liked how I style them though, so I thought I’d collect all the ways I’ve worn white jeans on the blog before to give you some inspiration. My favorite way to style them is by pairing them with tops in pastel colors or navy blue. I stay clear of harsh black or the really bright colors, because I don’t like hard contrast in my outfits too much. 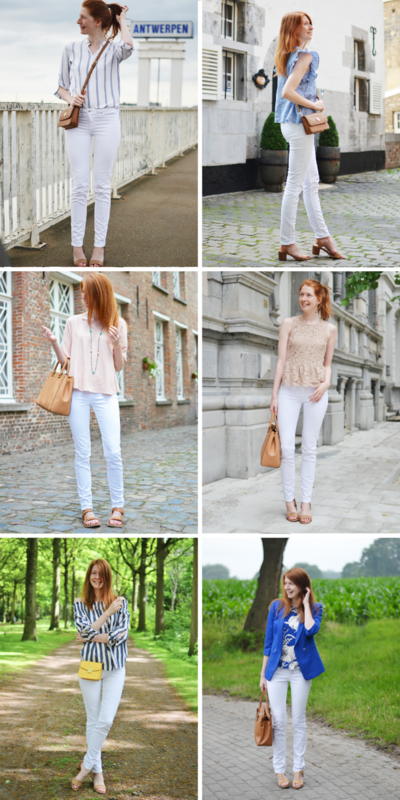 What’s your favorite way to wear white jeans? I could definitely still use inspiration too! You rock them so well! You always wear your white jeans so well and make me wish I could wear them! It’s not them coming across as cheap (I don’t think I’ve ever thought that when anyone’s worn them!) it’s more that I’m clumsy and have two very messy toddlers, ha! I’m not ruling out white shorts though, it’s just finding a pair that’s tricky. Maybe this spring/summer. I’m shedding the layers as you’re looking forward to pulling them on!